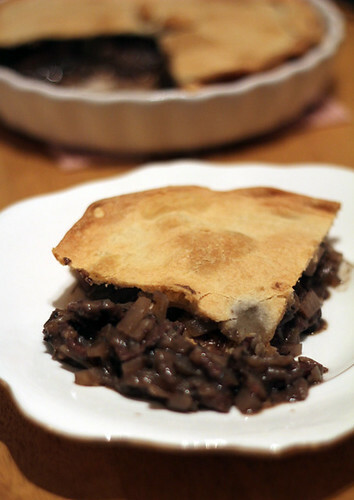 Steak and Red Wine Pie | Abandon Spoon! From the Great British Bake off book, although slightly changed as I didn’t leave the meat overnight as is recommended in the book due to my dis-organisation of the meal. Still tasted amazing even if I do say so myself. 1. Toss the beef in the flour and season with salt and pepper. 2. Heat the oil in a large heavy-based flameproof casserole dish with a lid. 3. Add the pieces of meat, and fry for about 2 minutes on each side. 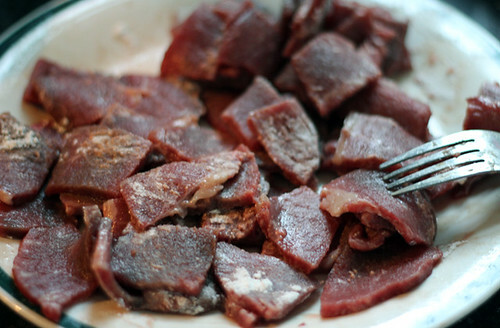 Remove the beef from the pan. 4. Cook the onions and garlic gently until they are golden brown. 5. Simmer the red wine in a separate pan until reduced by about one-third. 6. Pour into a measuring jug and make up to 500ml with the beef stock. 7. 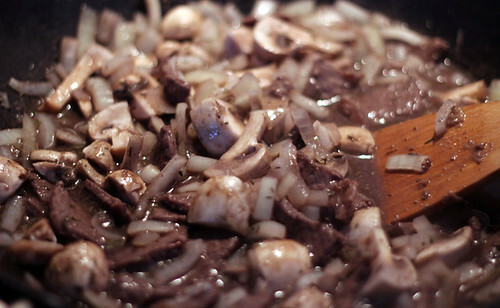 Stir the wine and stock mixture in the pan with the onions, followed by the beef and thyme. 8. Bring to the boil, then lower the heat, cover the pot and cook gently for 1 hour stirring from time to time. 9. Add the mushrooms and stir well, simmer for another hour until the meat is tender and the gravy is thick. 10. 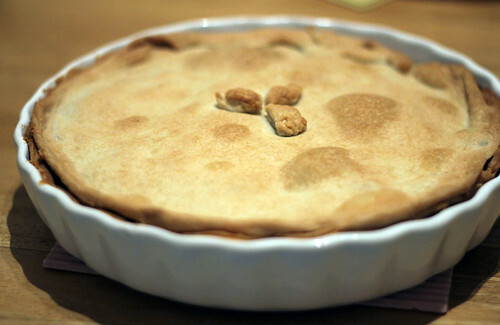 Place your pastry on the bottom of the dish, pour in the steak mixture, and cover with a second piece of pastry. 11. 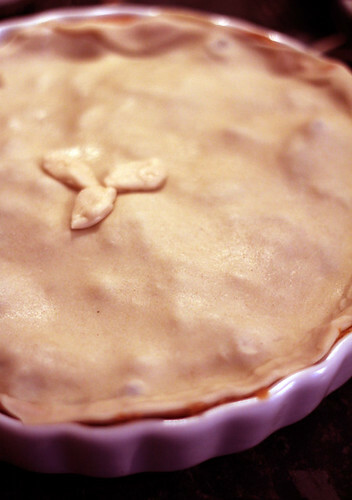 Seal up the edges, brush with a beaten egg onto the top of the pastry and bake for 35 mins.